‘The Brace’ shooting jacket from Maude & Fox, demonstrating the brand’s commitment to quality and style.‘The Brace’ is made from water resistant Teflon coated British tweed with stylish twists in the detailing to set it apart. 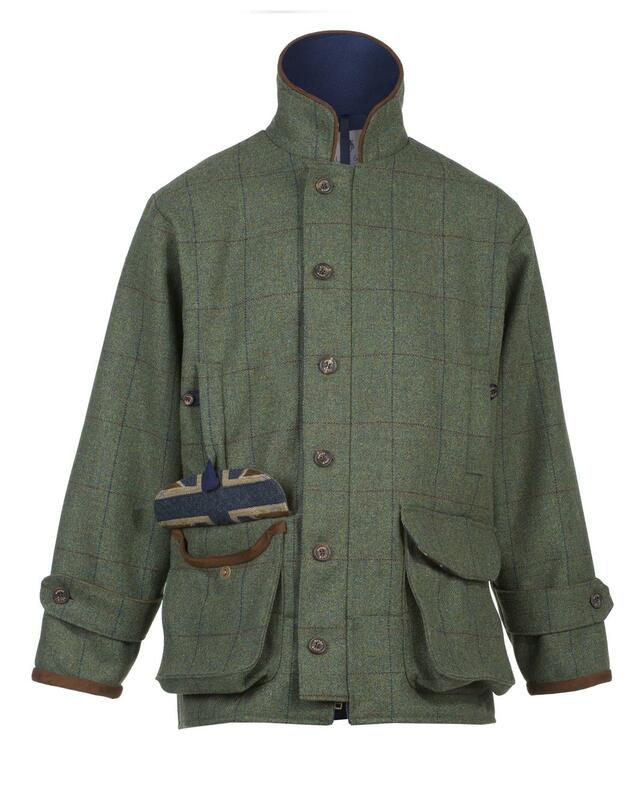 The new shooting jacket is aimed at the discerning chap (or lady) who wants some individuality in the field or in the town without being too overt. ‘The Brace’ combines function and comfort with clever contemporary styling. 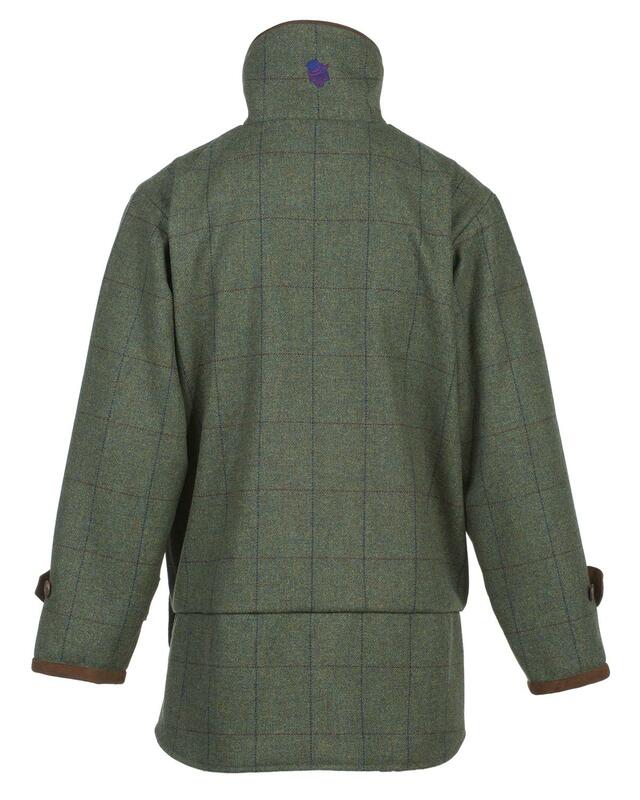 Made from 100% British tweed, with a soft anti-pill fleece lining for extra warmth, the jacket also offers superior comfort to allow freedom of movement in the upper body and arms. Unusual technical detailing includes a vented bellow pocket with the underside pocket flap made in a quirky patriot tweed with a magnetic fastening (much less fiddly on a cold winter morning! 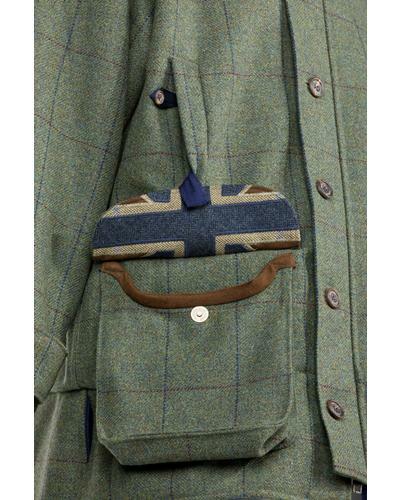 ), a zipped inside breast pocket for a phone and special fleece lined hand warmer pockets just below the chest. Cut low at the back and high up the neck to keep out draughts - this jacket 'feels' good.